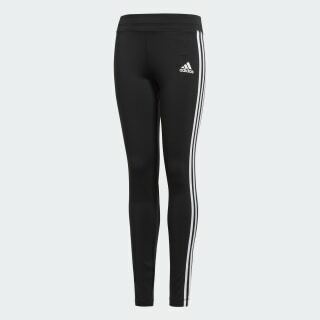 Sweat-wicking tights with 3-Stripes on the sides. Warm up, cool down and do everything in between in these junior girls' training tights. Sweat-wicking fabric keeps you dry and comfortable, and flatlock seams sit smoothly on the skin to reduce chafing. They're finished with 3-Stripes running down the sides.